Many regional and community banks have slowly seen their share of small business lending slip away over the course of the past several years with the growth of national and global banks and alternative lenders. But there is a formula for these great banks to win the crucial small business segment: the pairing of technology and good relationship banking. These were the predominant themes covered in a recent session led by Numerated CEO Dan O’Malley, Horizon Bank VP and Senior Digital Banking Officer Scott Kosik titled, “How Relationship Banks are Unleashing Growth with Real-Time Lending” at Bank Director’s Acquire or Be Acquired conference in Phoenix. 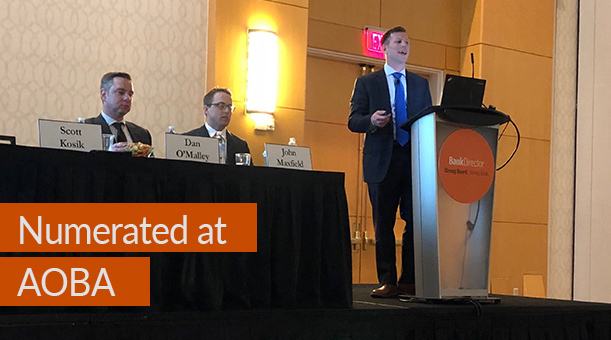 The session began with Dan discussing many of the challenges regional and community banks faced in the post-recession era when it came to prioritizing technology and customer experience investments. “Investments that banks might have made [after 2008] to respond to change in customer preferences slowed,” he explained. “Technology investments that were made largely went toward digital servicing, not sales." 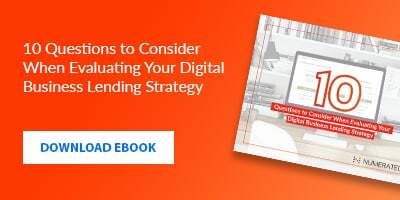 However, today, all of the largest national banks have invested in digital lending and targeted marketing, and seen rapid grown their small business portfolios as a result. This is a segment regional and community banks can’t afford to cede, especially the deposits associated with their full relationship. So what’s the solution for banks? Dan shared stories about how banks are using technology to reinvent relationship banking. He walked through the “tenets of relationship banking” and shared accompanying examples of technology that works to enhance a bank's relationship with its customers. “If you’re not creating a borrowing experience that is easy and respects the time of the business owner, then you’re not doing what the best relationship banks are doing,” he said. To conclude, Dan shared he hoped the audience would leave feeling empowered when it comes to using technology to transform the customer experience and enable bankers to build relationships in new ways.